Build a space colony and protect it from invaders. Is there a better alternative to Hydrothermal? Is Hydrothermal really the best app in Simulation category? Will Hydrothermal work good on macOS 10.13.4? Hydrothermal needs a rating. Be the first to rate this app and get the discussion started! Hydrothermal is a city building game where you create a space colony and ward off alien invaders. Control every aspect of your colony's layout, including zoning, building placement, and terrain features, all with the ability to conquer more land for expansion. 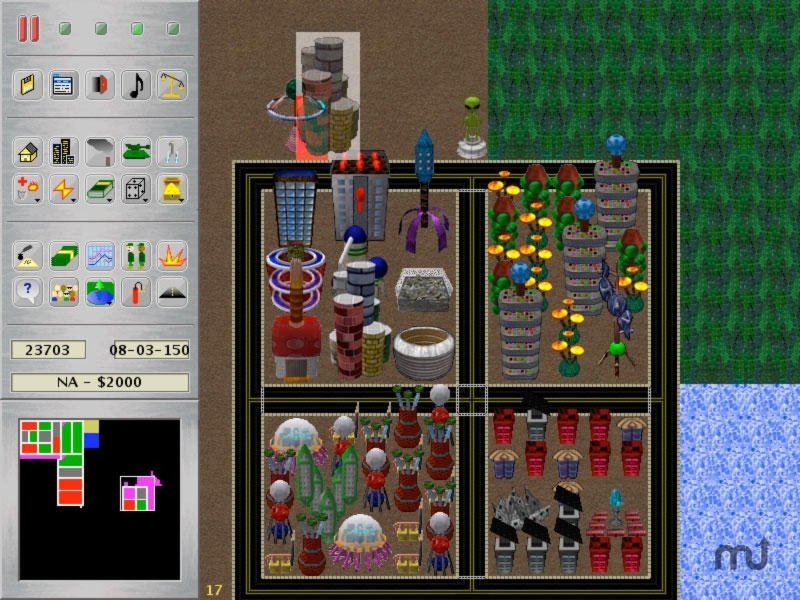 Adjust the city details by balancing the budget, passing/repealing laws, and allocating extra resources into six areas using the balance of powers screen. Don't forget to build and manage an army though, aliens attack from time to time! Hydrothermal's addicting gameplay and a classic 2D with over 50 unique buildings, Hydrothermal will keep you entertained for countless hours.